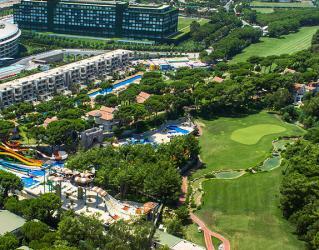 The 5* All-Inclusive Maxx Royal Belek Golf Resort offers luxurious amenities and direct access to the popular Montgomerie Maxx Royal Golf Course. 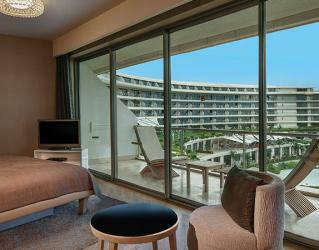 The pioneer Maxx Royal Belek Golf Resort, an all-suite hotel, ensures a unique luxury golf holiday experience by providing you with more than you could possibly need throughout your stay. The luxury spacious suites equipped with top quality amenities, helicopter tours, excellent service, an outstanding beach, deluxe interiors decorated with handpicked items, stunning indoor and outdoor pools and much more await you here for an unrivalled experience. 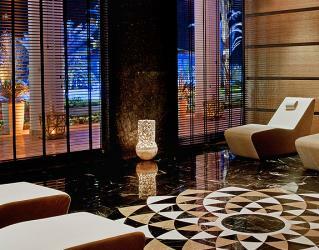 The resorts accommodations are all suites and villas, each designed with an impressive luxurious style. 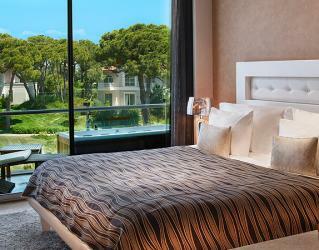 The rooms are extremely spacious, with the standard suite starting at 80 m2. They are packed to the max with luxurious amenities such as a LCD TV, telephone, internet, minibar, tea and coffee setup, Jacuzzi bathtub or shower, bathroom toiletries, hairdryer, bathrobes and slippers for you to enjoy your stay to the maximum. 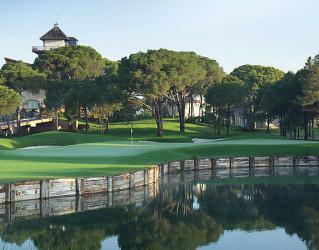 The Montgomerie Maxx Royal Golf Course offers a variety of distinctive villas for golf fans. 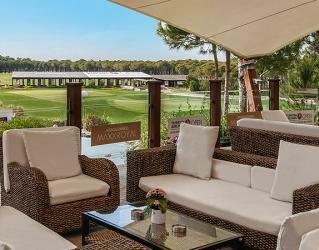 Maxx Royal Belek offers direct access to the Montgomerie Maxx Royal Golf Course, host of two Turkish Airlines Opens. 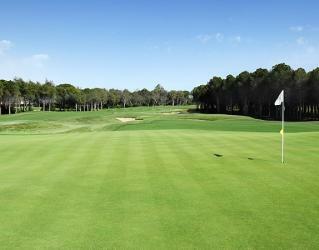 The resort is also in close proximity to 13 other golf courses located in Belek. The Azure Main Restaurant offers guests a more private style buffet. The tables in the dining room are more spread out, so you can enjoy a peaceful breakfast, lunch or dinner with your loved ones. Royal Villa Restaurant is another alternative for tasty breakfast and lunch options. 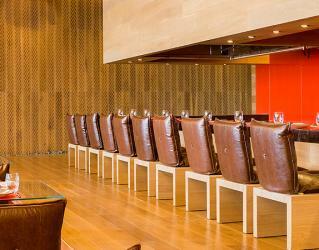 All of the excellent A’la Carte restaurants in the resort will take you on a delicious journey. With an available Teppanyaki selection, Azure Asia Restaurant serves unique tastes prepared by seasoned chefs for a genuine Far East cuisine experience. In Azure Fish Restaurant, where you can almost smell the ocean, a selection of Aegean dishes and seafood are served. Delicious and juicy meats, matured under special conditions and cooked according to your preference are served in Bueno Steak House, leaving you wanting more. If you are a chocolate lover, indulge yourself in the Chocolatier Tea and Coffee Bar serving 44 types of luxurious chocolates. 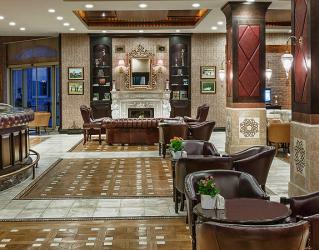 LE MÉLANGE Patisserie Cafe offers a fine selection of desserts prepared by the best cake and patisserie chef in Turkey. Room service is available 24 hours and subject to an extra charge. 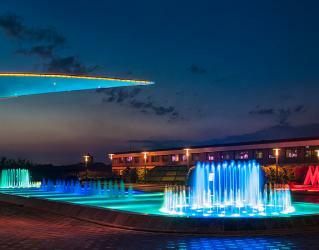 Maxx Royal is renowned for having the largest drinks selection in Belek. From 25 year-old whiskeys to Johnnie Walker blue label, you name it, Maxx Royal most likely has it. 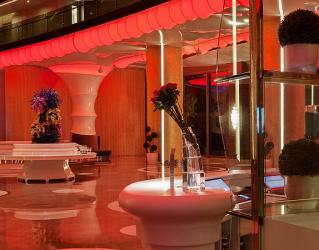 Decorated with warm details, Lobby Bar serves elite cocktails and drinks until midnight. The extraordinary Royal Horse Lounge Bar welcomes its guests with a gorgeous ambience from morning till midnight with the privilege of listening to live music while sipping a cocktailFor a healthy choice, Vitamin Juice Bar will save the day with freshly squeezed fruit and vegetable juices. 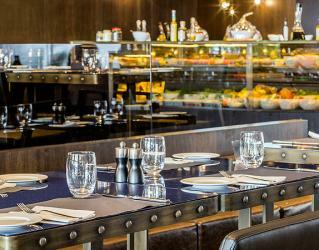 The Ryder Golf Club Bar at the Montgomerie Golf Course is in service from morning till midnight with an extra charge. When the night falls, Disco Bar offers a wide variety of cocktails and drinks while you are catching the rhythm of the night. In the summer season, Terrace Lounge Bar, Tangerine Beach Club, Stardust Beach Bar, Tennis Bar and Laguna Bar are at your service with refreshing beverages for everyone. 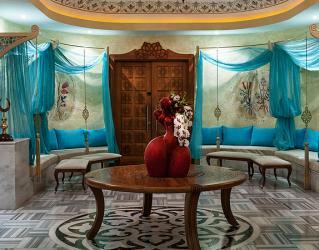 Indulge yourself with the heavenly treatments and relaxing therapies at Aven Royal Spa. Experience a unique skin care treatment to renew your skin. You can even get rid of regional fat thanks to the most advanced fat burning body shaping equipment here. 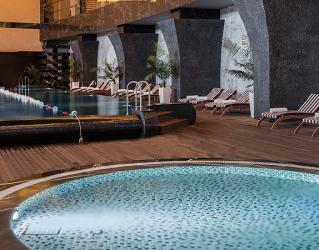 With its various saunas, peeling rooms, steam bath, the gorgeous Turkish bath and massage services given by a professional team, the Aven Royal Spa experience will be an unforgettable one. 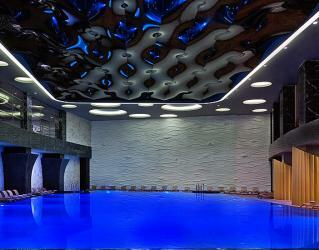 Maxx Royal Belek will surely keep you entertained throughout your stay. In summer, watch the sunset at the Tangerine Beach Club with a Piña Colada or perhaps watch one of the award winning shows performed by the world’s most talented dancers. The unique night club within the resort, Royal Horse Lounge offers visual and audio entertainment in its fascinating interiors. If you would like to keep fit on holiday, the group exercise classes, cardio and weight workouts await you at the Tune Studio, led by award winning trainers. A professional tennis academy, professional football pitches and water sports are the other sports alternatives for an enjoyable holiday. Yes, I know you are curious! When you are so caring about your guests that you come out on different paths, two occasions are summarizing, in a good way what Bilyana stands for. You do a fantastic job as a representative (in every way). 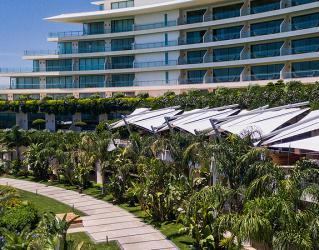 Your colleagues in Belek, correspond for every need. They are always at the right time, in the right place and with friendly care. I have been traveling for a few years and am impressed that the quality remains at the same high level. In front of our thanks to your colleagues! They do a great good job. Maxx royal is number 1! Here, too, one maintains a very high level of service. Treatment, helpfulness, accessibility, great food regardless of time and the range of wines and drinks are.. Playing the home course, Monty is a cannon. All golf courses were the best class. The weather? We were lucky again! We had a cannon week! Thanks to Bilyana and a great hug for you who does a great job! Bengt o the rest of the guys' gravel! Thank you for a wonderfull and excellent week in Belek in a Beautiful hotel Maxx Royal , we had luck and every day brigth sunshine and about 20 degrees . 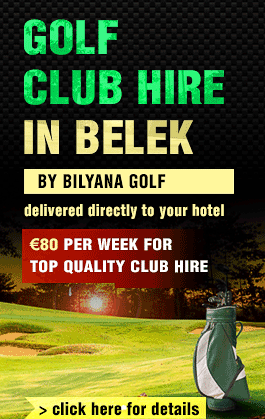 we had best organisation with bilyana , the golfshuttles were always on time und perfekt. For next year i would like to get Information , how much is the diffrent price between landside or seaside 2 bettrooms. Thanks for organizing a very nice stay for us last January/February. We are ready for Belek again. And I wonder if you can give me a good offer that my friends will like! Just a quick note of thanks from our party. What a brilliant hotel and golf courses! The transfers and service from your colleagues and the hotel could not have been better. We’ll certainly be back to you again! Thanks for all, it was a wonderfull golf week. Perfect organisation, all person very polite. I hope next year tobe back again. Thank you for sorting out the golfing trip that we all fully enjoyed. 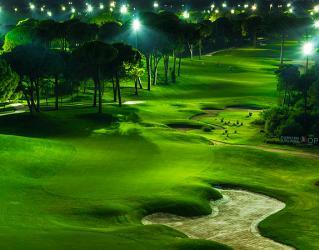 I can honestly say that it was the best golfing trip to Belek that we have had over the past 8 years. 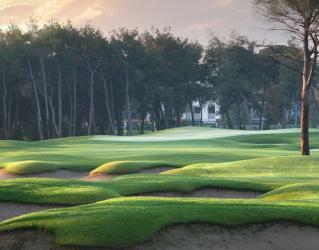 The main reason for this was the outstanding presence of BILYANA GOLF. The drivers, their spotless mini busses and punctuality, the voucher system which went without a hitch and you who spent lots of time sorting my requests for this and that. WELL DONE TO ONE AND ALL. Would you please apologise to Hakan for me as we missed his meeting on the Saturday afternoon. My fault as we were enjoying lunch and drinks at the MaxxRoyal ! We don't know w3hat we are going to do next year as the Voyage is going to be closed from November to April but I'm sure that BILYANA GOLF will come up with a solution. Anyway, thanks once again from all the group who just want to go back out there next October. just a note to thank you and all the Bilyana staff for making our recent stay in the Maxx Royal hotel a brilliant experience. From your organisation to our experience in Turkey everything was once again superb! The staff in Turkey were 1st class with all pickups on time or early, staff were courteous and well-mannered and a credit to Bilyana. Can you please pass on my thanks to everyone concerned who contributed to another fantastic weeks holiday. Although I did not expect anything less from you all ( having been travelling with you for the past 5 years ) you certainly did not let anyone down with your exceptional service from 1st day till last. I will be in touch for next year’s trip quite soon so expect to hear from me. Thank you so much for all your hard work Hasan and Sunny and giving us (Bride and Groom) a private transfer with a beautiful bunch of flowers and champagne on the way to the hotel upon arrival. It was a lovely touch and a great way to start the celebrations in Belek. I would like to thank you kindly for all your services. 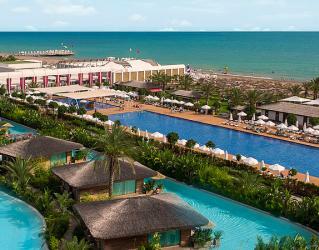 Our stay in Belek was excellent. All members of our group were exceedingly satisfied. With reference to our satisfaction we would like to ask for enquiry (demand) for next year 2017, March 25 - April 1, the same hotel MAXX ROYAL, or if you have other possibilit with advantageous conditions. Thank you very much and have a nice and successful season 2016. 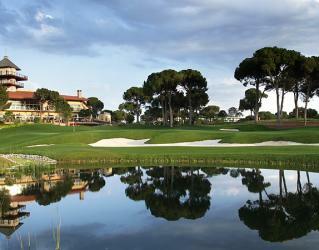 Used Bilyana for 1st time holiday to belek and stayed at the maxx royal belek i was on a non golfing holiday. I was a little nervous at arriving at a silly time in morning, But as promised Bilyana were waiting at airport, friendly great staff. Fab minibus Why the maxx maybe one of the top hotels in area, i would rate Bilyana the Best in there field, dealt with a patient lady called Meltem, as my dates changing due to Thomas Cook flight changes. I must tell y all about our rep. fantastic job on Sunday 4/1. One of my golfers lost his tooth when we had lunch at Montie. He swallowed it. He sat just beside me and said,- Monica, look I have lost my tooth…. I phoned our rep. and asked if he could find a dentist on a Sunday. At four o´clock our rep, a dentist and a translator come to Voyage. At seven o´clock my friend was back in the hotel with a new tooth!!!!! All this in 3 hours…. Splendid work!!!! It´s only Bilyana that can handle such things…..